Tore Helle's well-funded Rotel Racing Team dominated the 1975 Swedish series, with reigning champion Conny Andersson very successful in F3 across the continent in a new March 753, and his young teammate Conny Ljungfeldt winning the domestic title in Andersson's old 743. As well as the two domestic races that he won, Andersson also won the Swedish GP support race at Anderstorp in June, and a round of the Italian series at Casale in September. Gunnar Nilsson had looked like he might win the 1975 championship but after winning the opening round, he decided to concentrate on the high-profile BP Super Visco championship in Britain. Thanks to winning that championship, not to mention a very successful late-season cameo in Formula Atlantic, he was propelled straight into F1 in 1976. Apart from Andersson and Nilsson, few Swedes had the latest equipment, but Ingvar Carlsson went well in a new GRD 375. 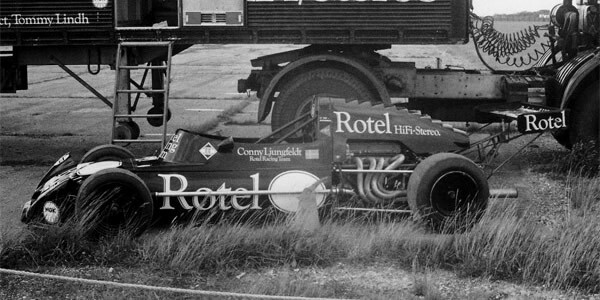 Although Marchs won all the races in Sweden in 1975 using Novamotor's Toyota engine, the bulk of the grids were made up of old GRDs and Brabhams fitted with Ford twin cam engines.